‘Pirates of the Caribbean: Dead Men Tell No Tales’ Super Bowl Trailer Says 'Aye'! Javier Bardem vs Johnny Depp, that is a brawl we would all love to watch! It was one hell of a Super Bowl! and all roared Aye! when Disney released the trailer for its upcoming folklore fantasy Pirates of the Caribbean: Dead Men Tell No Tales. Captain Jack Sparrow (Johnny Depp) is sailing back into dangerous waters of wealth and immortality with the fifth installment in producer Jerry Bruckheimer’s timeless pirate adventure series. When we saw him last, at the end of Pirates of the Caribbean: On Stranger Tides, Jack was back in possession of his precious ship, the Black Pearl, but it was shrunk to be put inside a bottle. Whether Jack has since managed to restore the Pearl to her former glory or not will be revealed once the movie is out. This time, the plot will revolve around the new entrant into the mayhem, Captain Salazar who has freshly escaped from the Bermuda Triangle with the sinister agenda to kill every living pirate on the sea. He is behind the Trident of Poseidon which is the only weapon that can stop him, but Jack is a tough nemesis no? Javier Bardem vs Johnny Depp, that is a brawl we would all love to watch. Major characters are returning too. Will Turner is returning wielding a creepy look and a slimy sword while Hector Barbossa will be back to create a raucous as well. So with Barbossa, Will and Jack all back in the mix, it will be interesting to see which other major characters from the past might return as well. All in all, it is going to be a roller coaster riot! The film opens on May 26 and will also star Kaya Scodelario, Javier Bardem, Geoffrey Rush and Orlando Bloom in key roles. 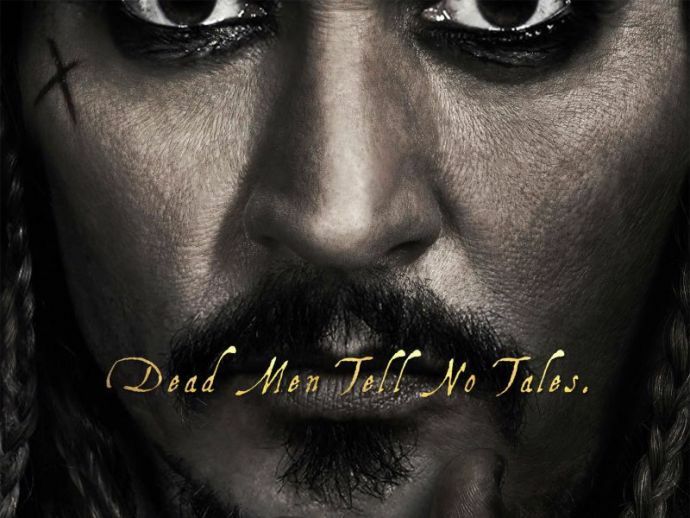 Watch the new Pirates of the Caribbean: Dead Men Tell No Tales trailer below.